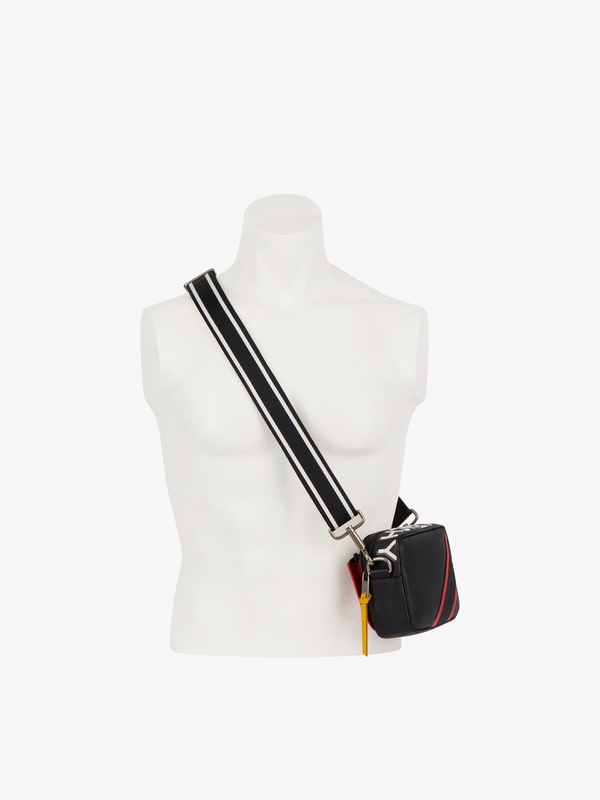 MC3 shoulder bag in red and black grained leather with topstitched bands on one side. 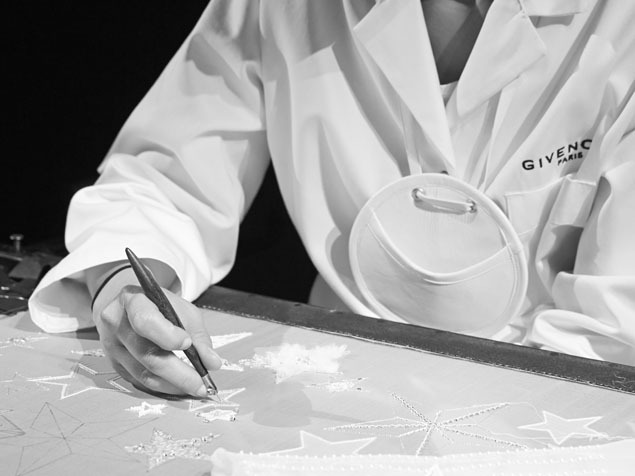 Inverted GIVENCHY signature with white and gray split letters on the top. Removable shoulder strap in black and white striped canvas. Metal details and yellow leather zipper pull. Main zippered compartment and two zippered pockets on the outside.